Antigua is also known as Waladli or Wadadli by its native population. It is the main island in the country of Antigua and Barbuda. Which became an independent state in the Commonwealth of Nations in 1981. The Spanish named the island “Antigua,” which means “ancient,” after a icon displayed in the Seville Cathedral. The name Waddill means ”our own” in the indigenous language. The island has a long history and numerous attractions that have made it popular with travelers. Seven of the best places to see are listed below. This is a must-see spot and worth taking a break from the beach for. The park is a restored English harbor that was once home to the British fleet during the Napoleonic Wars. It was the headquarters of Admiral Horatio Lord Nelson from 1784 to 1787. There is too much to see in a single visit, but the available guided tours provide a good overview of the location. The park has many restaurants, cafes, and shops. The Dockyard Museum is located where Nelson’s telescope and tea caddy are displayed. A short presentation on the history and culture of Antigua can be viewed in the Dow’s Hill Interpretation Center. Sightseeing along the marina or relaxing on the neighboring beach round out the activities available at the park. From the summit of Shirley Heights above English Harbor, visitors can take in the panoramic views afforded from its 492-foot perch above the sea. The southern portion of Guadeloupe is visible on a clear day, as is the active Montserrat volcano. The hike is somewhat challenging, and hikers should make their attempt in the early morning to avoid the Antiguan heat later in the day. On Sundays, local bands perform at the Shirley Heights Lockout Bar and Restaurant, and barbeque and drinks are served from 4 to 10 pm. Devil’s Bridge is the result of millions of years of geologic activity. The natural limestone arch can be found in the eastern part of Antigua, near Indian Town. It has survived the onslaught of ocean waves for centuries, and the waves have contributed to its form today. Devil’s Bridge is a true wonder of the world that marks where the Atlantic Ocean and Caribbean Sea meet. Walking across the bridge is not recommended as its limestone gets slippery when wet, but visitors can experience the blasts from surrounding blowholes – natural sea caves – that surround the rock formation. These blasts, which occur during certain weather conditions, can be dangerous, especially on windy days, experts warn. Not the best outing for families with young children. These four beaches technically belong to property owned by Rex Resorts, but they are open to the public. Royal Palm Beach, Sea Grape Beach, Honeymoon Cove, and Eden Beach are perfect for those seeking some peace and quiet, calmer waves, and great sunbathing. The area gets its name from a rock formation that juts out from the water, which looks like a Hawk’s bill. Located in Antigua’s St. John parish, this bay is considered the best beach of all the island’s 365 bits of shoreline. It has something for every type of beachgoer, from those who just want to lay in the warm sand to those who want to ride in a glass-bottom boat and those who want to participate in water sports. At times, dolphins can be found swimming alongside visitors on sunny days. The beach is very accessible and just 15 minutes away from the cruise port. Umbrellas and beach chairs are available for rent, Its convenient location makes this beach very popular with families. Close to the cruise ship dock is Antigua’s unique Saturday Morning Market. 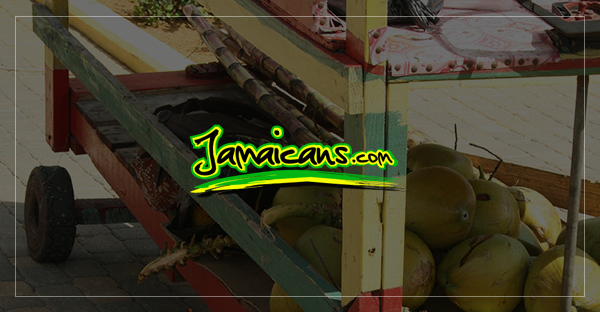 Located on Market Street in St. John, the nation’s capital city, it hosts local vendors from all over the island who come to sell a wide range of goods, including souvenirs and crafts, spices, fresh produce like okra, coconut, papaya and the famous Antiguan black pineapple. The market also offers prepared foods for hungry shoppers such as greed green tomatoes, breakfast, or lunch. An early morning visit is recommended to see the best variety of goods. This plantation was built in 1674 and was one of the first and biggest sugar plantations in Antigua. It was named after the daughter of a former owner, and it commemorates the island’s role in the colonial history of Britain. The main mill on the plantation has been restored, featuring new sails and crushing machinery, Most of the other structures on the site are in ruins, but visitors can get a feel for how it used to look by stopping at the former cotton house storeroom, which functions as a visitor’s center and museum. It offers information about the lives of slaves during the mill’s days of operation. The site also provides a stunning view of Pares Village.